Trainee witch Bella is thrilled when she gets her own grimoire – a handwritten diary and book of spells – for her birthday. But it contains a spooky secret. Is Bella about to stir up a cauldron of trouble? 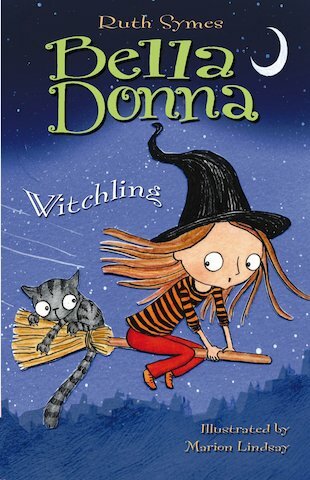 The second book in the hilarious series about feisty young witch Bella Donna is made for long, dark, spooky nights – the perfect winter read! Cast your own magic spell with Bella Donna. Make Bella’s welcome party more special by colouring it in. Draw a fantastic witch’s reflection in the mirror.